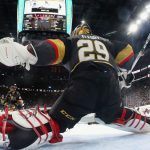 The biggest surprise in sports this year could very well be the play of the NHL’s newest team, the Vegas Golden Knights. The organization made its debut this year and is currently in first place in the Pacific Division with the second best record in the league. Sports books certainly think the team is for real. In May the Westgate LV SuperBook had the team as a 200-1 long shot to win the Stanley Cup. They had the highest odds of any of the 31 teams. After compiling a 22-9 record over the first two months the odds are now 14-1, behind only six teams. The Westgate also has adjusted their chances for Vegas winning the Western Conference. In June they were last at 100-1. Two days ago they dropped to 7-1. Only the Nashville Predators and St. Louis Blues have lower odds. The Predators are the favorites at 4-1 and the Blues are at 6-1. The organization has been a winner at the betting window as well. The first prop bet the team won was tied to the Super Bowl. 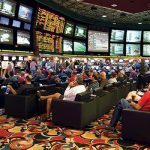 The Westgate had a wager available on what there would be more of; field goals in the first half of the big game or Vegas Golden Knights goals in their first game. There was one field goal and the team scored two goals in its win against Dallas. They haven’t looked back. They are 13-4 straight up at home, the best mark of any hockey squad. There overall mark of 21-10-3 is second only to the New York Islanders. One of the bets savvy gamblers made before the season was the victory total. The over/under on victories was 24.5 and the team is two wins away with 49 games remaining. Odds makers also didn’t have much faith they would make the playoffs, installing a line of 6-1 against it. 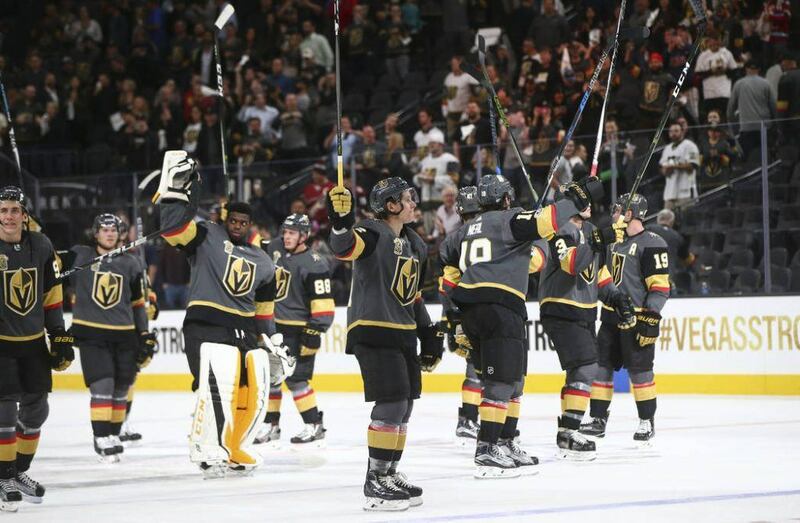 The Golden Knights set a record for expansion teams when it won its first three games of the season. They then set another mark when they won their first eight of nine. They are on pace to shatter the best ever record for a first-year club, held by the 1993-94 Florida Panthers at 33-34-17. 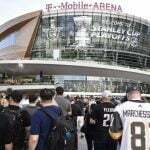 Tuesday night at T-Mobile Arena in Las Vegas the team defeated the best team in hockey, downing the Tampa Bay Lightning, 4-3. Tampa Bay Coach Jon Cooper said the contest had a postseason buzz. 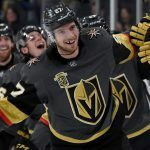 Five nights earlier Vegas defeated the defending Stanley Cup Champion Pittsburgh Penguins and losing goalie Matt Murray said the play of Vegas has been a bit of a shock.